Although today the three sport athlete is becoming a dying breed, Jake Straughan of Colton High School is one of those rare student-athletes who excels in everything. While maintaining a 3.9 GPA, this 6’2″ 190 lb Wildcat has earned All League, MVP, All State, Player of the Year, and many Prep Athlete awards for football, basketball, and baseball. He was even talented enough to be recruited by Division I schools to play point guard earning a basketball scholarship from the University of Idaho. But the biggest challenge and honor came recently for this 17 year old. 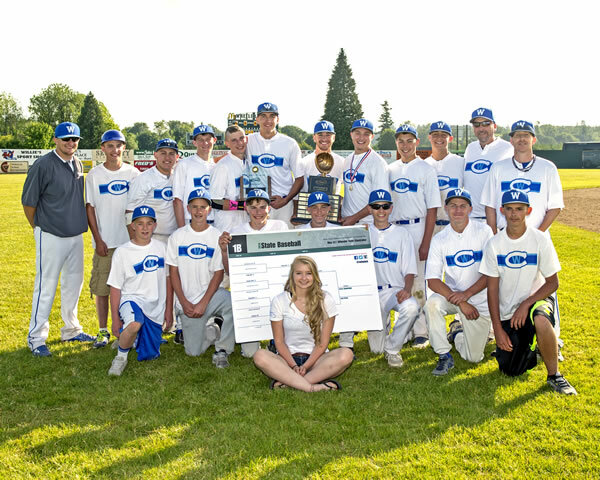 He accomplished his childhood dream: Straughan led his Colton basketball and baseball teams to win two state championships, despite suffering a broken leg in a football playoff game just a few months before. At Colton High School, Straughan lettered and excelled in three varsity sports since his freshman year. That is 3 sports, 4 years, and 12 letters. He was an outstanding football player for the Wildcats. He scored 141 touchdowns for 9,505 yards in his prep career. Straughan first played receiver and caught 108 receptions and 26 TD passes from his brother Josh (now a starting QB at Stillman College) for 1,773 yards. He earned all league and all state honors as a wide receiver. He then moved to the quarterback position. He threw 331 completions and 72 TDs for 5,562 yards, ran for 37 TDs and 1,931 yards, and scored 6 TDs on defense and special teams. 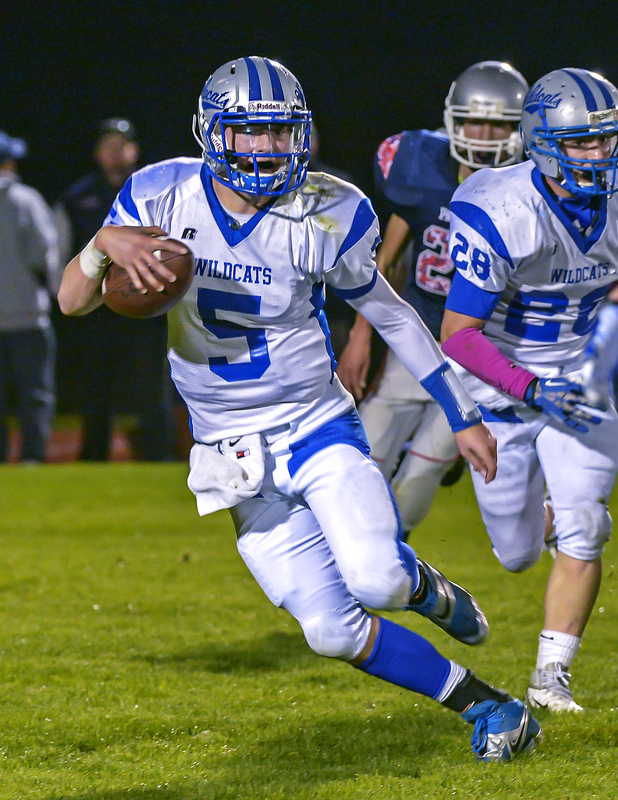 In his senior year alone, Straughan helped lead the Wildcats to a fifth place finish in State and was named an all league and all state QB and DB. He also was selected as the A&B Washington 1B State Player of the Year and the NW 1B Offensive Player of the Year. But in a playoff football game Straughan broke his leg and faced a new set of challenges for his senior year of basketball. His recovery was painful but he never lost sight of his goal of winning a state title. About a month after his leg injury, Straughan was able to start working out and just a few weeks later he was back on the court competing. As the team adjusted to the return of their star point guard, Colton went on a seven game winning streak defeating every opponent in districts, regionals, and state. Jake averaged 22 points, 7 assists, 6 rebounds, and 3 steals per game. At the State Tournament, Straughan averaged 27 points per game and outscored every player with 81 points. He finished his prep career with 1,505 points, 512 assists, 417 rebounds, and 185 steals making him the highest point scorer in the history of Colton basketball. More importantly, Straughan helped lead the Wildcats to their first-ever state championship in boy’s basketball. As a freshman he had been to the 2011 State Tournament with his brother Josh and had finished in fifth place. Jake had even set a three point shooting record at state. But all that mattered this time was winning the Gold Ball and not even a leg injury was going to stop him. He started the state title game by scoring the first 8 points, distributed the ball and scored 9 additional points, then ended the game by scoring the final 8 points. For his efforts, Straughan was selected as the Washington AP and WIBCA 1B State Player of the Year. He was named the KXLY-ESPN Shining Star and KATW-ESPN Prep Athlete of the Week. His achievements reflected an extraordinary will to win even in the face of tremendous adversity. Rather than feel sorry for himself, Straughan overcame his injury and led his team to win the first State Championship in the history of Colton boy’s basketball. Colton Coach Seth Paine describes Jake as a “gifted point guard with great court vision. He handles and passes the ball very well and what sets him apart from others is his ability to attack a defense and score. He prides himself on being a scoring point guard who can get to the rim, shoot the three, and execute his mid-range game.” Coach Paine further stated that “Jake is often double or triple teamed and still averages 20 points a game on his high school and AAU teams.” In his junior year for Colton, Straughan scored 568 points, made 165 assists, hauled in 142 boards, and got 75 steals. He had game highs of 42, 34, and 30 points even hitting 9 threes in one game and 82 threes in the season. He was selected as an all league point guard and league MVP. In his basketball career, Straughan helped the Wildcats win two league titles, one district tournament title, a fifth place finish at state, and a state championship. But Straughan still had another sport to help Colton win a state title in. He was a starting pitcher and infielder all four years for the Wildcats. 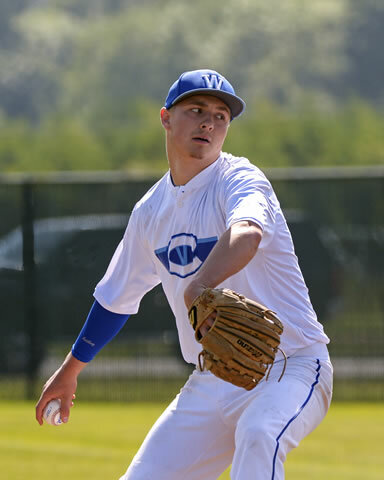 He earned all league honors as a sophomore pitcher-shortstop for helping his teammates (along with his brother Josh) win the 2012 Washington 1B State Championship. He pitched a one hitter to get Colton a win at regionals and a berth into the title game. The next year Straughan went 6-1 as a pitcher, batted .425, and pitched his team to a third place finish in State. He was named an all league pitcher-shortstop and the league MVP. As a senior, Straughan led Colton to another state title while still recovering from his leg injury. He went 7-1 as a pitcher, tossed a perfect game, struck out 88 batters, batted .575, and knocked in 30 RBIs. In the championship game, Straughan struck out 10 batters and gave up only 1 run. He also hit a base clearing shot off the wall to score the Wildcats only two runs giving them a 2-1 win. He was selected as an all league pitcher-shortstop, the league MVP, and Player of the State Title game. Beyond his athletic success, Straughan excelled in academics too. He maintained a 3.9 cumulative GPA at Colton High School while taking a rigorous course load. He was a member of the National High School Honors Society and National Society of High School Scholars. He was a part of several Football and Baseball Academic State Championship Teams. Straughan also graduated as the 2014 Salutatorian of Colton High School. He plans on earning a bachelor’s degree in education with an emphasis in history, psychology, and coaching from the University of Idaho. His intellectual pursuits carry over to sports where he considers himself to be an aspiring student of the game of basketball, especially the point guard position. Straughan is the consummate student-athlete. No wonder Straughan earned a Division I basketball scholarship to play point guard for the University of Idaho. He is an outstanding three sport student-athlete. He is an inspirational warrior and winner on the football field, basketball court, and baseball diamond. His fairy-tale prep career ended up being rather prophetic. Coach Pat Doumit recalls that “when Jake was a seventh grade student in his English class, he was given a writing assignment on a topic of his own choice. Jake decided to write about a kid who attends Colton High School and helps his teammates win several state titles. It was obvious that Jake wanted this story to be his autobiography.” With talent and determination, Straughan became this Colton Kid even while overcoming a broken leg. 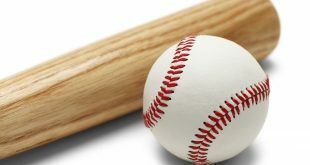 He accomplished his childhood dream when he played his final basketball and baseball games by leading the Wildcats to a state championship in two sports. Best High School Memories? Winning a State Championship in baseball with my brother Josh Straughan, winning Colton’s first ever boys basketball State Title, and winning another State Championship in baseball my final high school game. My Hero? My hero is my brother Josh Straughan, who started as a true freshman quarterback at Stillman College. He is a great athlete, hard worker, and my best friend. He supports me in everything and taught me a lot about playing quarterback, point guard, and pitcher-shortstop. Advice to Youth? Work hard in academics and athletics. Be the one who works the hardest to get better and to make everyone around you better. Never give up on your dreams, never listen to doubters. You can achieve anything if you set your mind to it. Apply yourself and go get it! 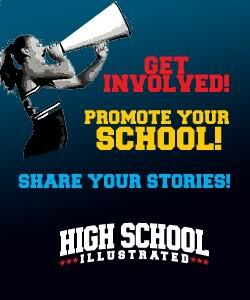 Jake was featured in the inaugural issue of High School Illustrated – USA National Edition for iPad, a completely free magazine on the App Store. Click the button below to download it.